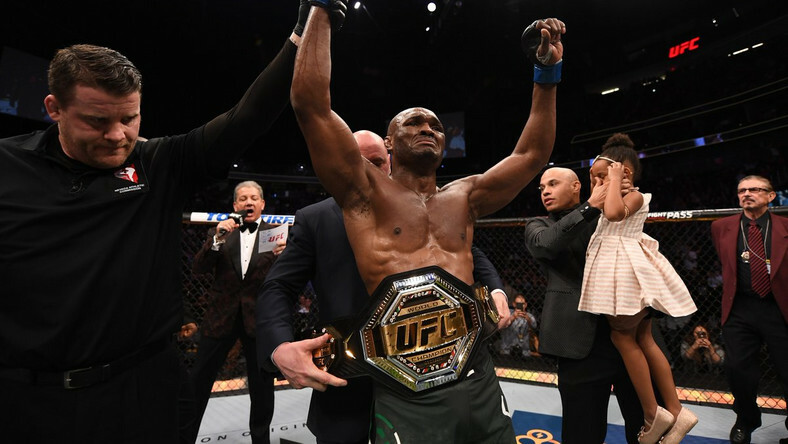 Nigeria's very own Kamaru Usman has beaten Tyron Woodley to emerge the very first African born UFC champion. 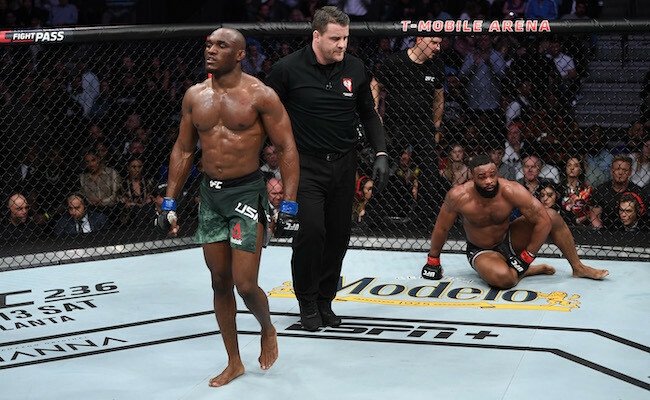 The Guardian reports that Nigeria’s Kamaru Usman has become the first African-born fighter to win a UFC title after pummelling Tyron Woodley in a one-sided bout at the T-Mobile Arena in Las Vegas. The 31-year-old Usman, a Nigerian-born Texan and former NCAA Division II wrestler, broke into the UFC in 2015 on its long-running competition reality show. He won his first eight UFC bouts and battered ex-champ Rafael Dos Anjos last November to earn his shot at Woodley’s belt. Woodley (19-4-1) had been the UFC’s 170-pound champ since July 2016 and defended the belt four times, but Usman (15-1) got off to a quick start and never let up in his first career title shot. Usman celebrated in the cage with his daughter before his hand was raised in victory. Usman triumphed with a unanimous decision, winning 50-44 on two cards and 50-45 on the third.